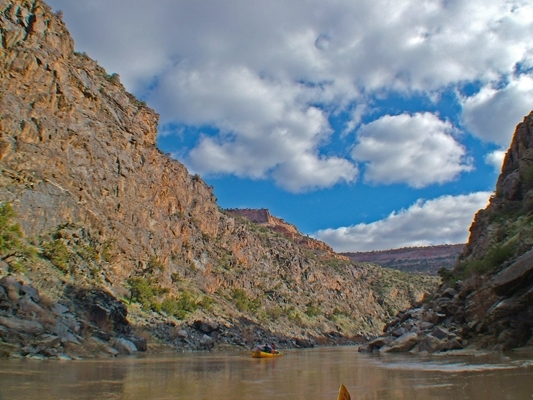 You don't have to be experienced to take this river trip; you just need to be seeking some adventure and a little challenge. In the evening we establish camp on the riverbank. While you explore and relax, the guides set up chairs and the kitchen, where they prepare fresh, delicious and abundant meals. The clean air amplifies the vibrant blue sky, creating a perfect environment for hiking and unparalleled photographic opportunities. 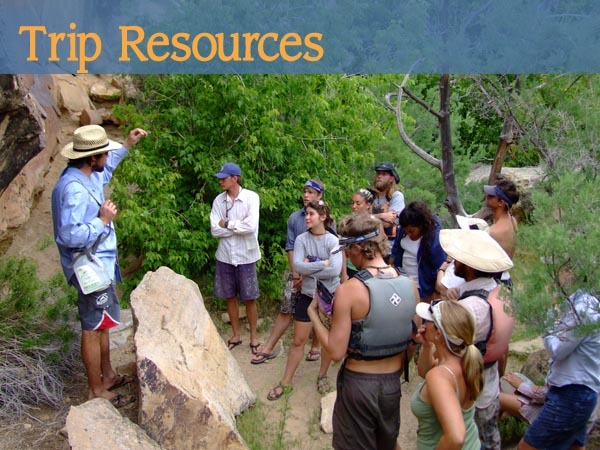 Depending on the length of your trip, time is set aside for hiking to geological and historical sites. Each day as evening yields to night, the sun melts from the sky and is replaced by a vivid star show that enhances the evolving conversations of the guests. 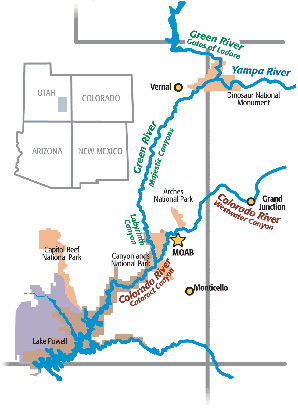 Early today you may get a chance to hike to Native American ruins hidden along the Colorado River. After stopping for lunch, and checking in with the Westwater Ranger, we head into the black granite gorge. Red sandstone cliffs change to shiny black granite walls. 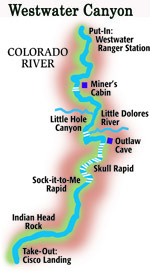 Here is where you start your whitewater experience. After running a few of the 'warm up' rapids we pull over for camp on a secluded beach. This evening you will get to hear stories about the rapids you will challenge in the morning. 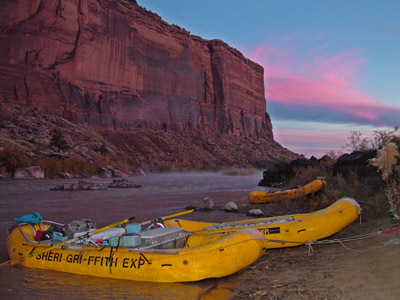 After watching the sun slip over the canyon rims you will be lulled to sleep by the sound of the waves downstream. Traditionally, the last night of the river trip is "Dress-up" night. Anything goes if you would like to participate. It is up to your imagination! 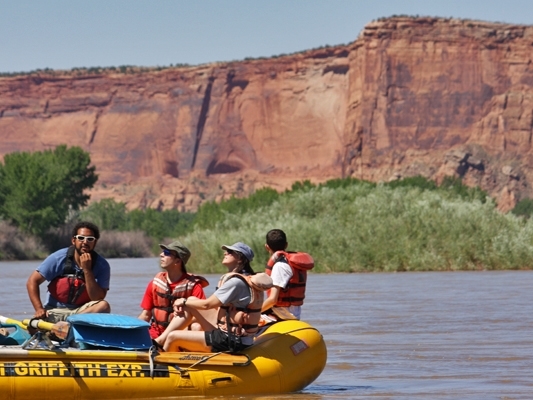 This is a great way to celebrate the trip, the new friends you have made, and the near completion of your Mighty Colorado River adventure. 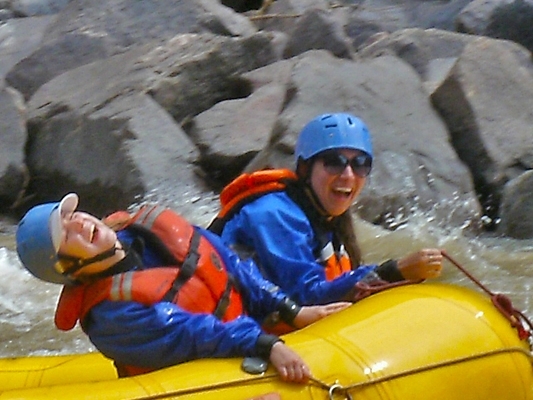 You will wake with anticipation of the rapids downstream. 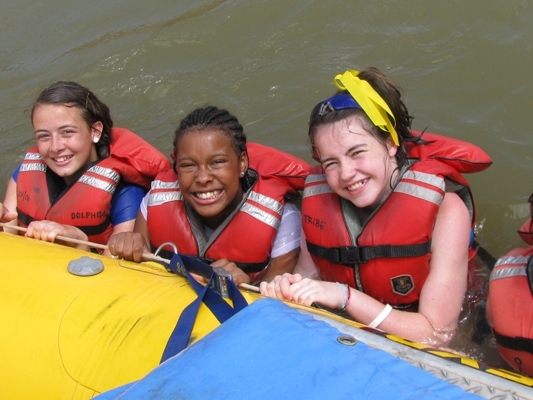 After a healthy breakfast the guides take time to teach you how to enjoy the big rapids safely. Then the fun really begins. Here are the incredible rapids you have been waiting for: Little Hummer, Funnel Falls, Last Chance Rapid, and of course, the infamous Skull Rapid. Lunch is a fresh buffet on the riverbank. The river starts out and a slow, relaxing pace. 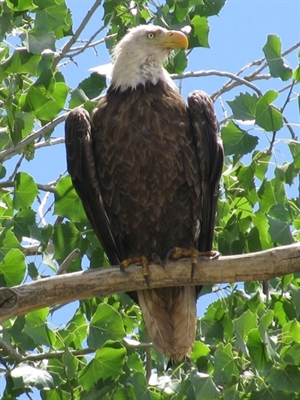 Several bald Eagle nests are viewable on this Colorado River rafting trip. 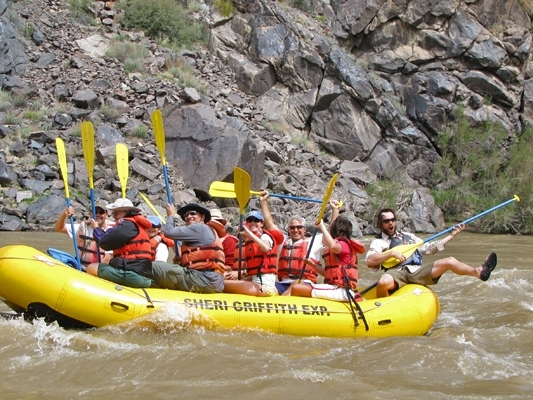 Whitewater and Fun are not hard to find in Westwater Canyon. Westwater Canyon get tighter as we drop into the whitewater.